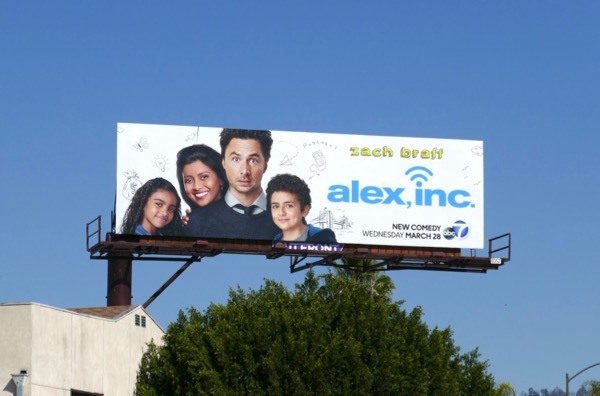 No stranger to sitcoms after starring in hospital comedy Scrubs for nine seasons, Zach Braff returns to TV in the brand new comedy, Alex, Inc. 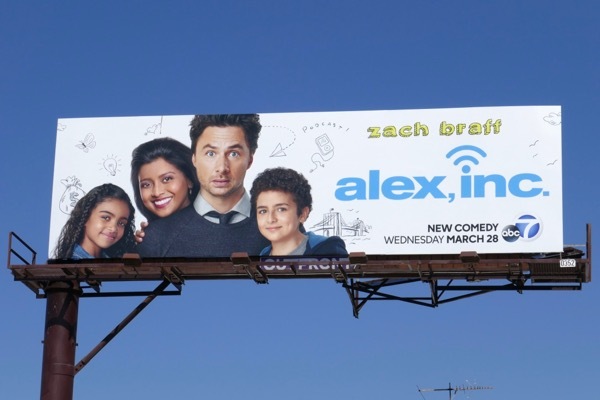 He plays 'Alex Schuman' a radio producer, married to Tiya Sircar's 'Rooni' and the parent of two quirky kids, who quits his job and decides to start up his own podcast and company. 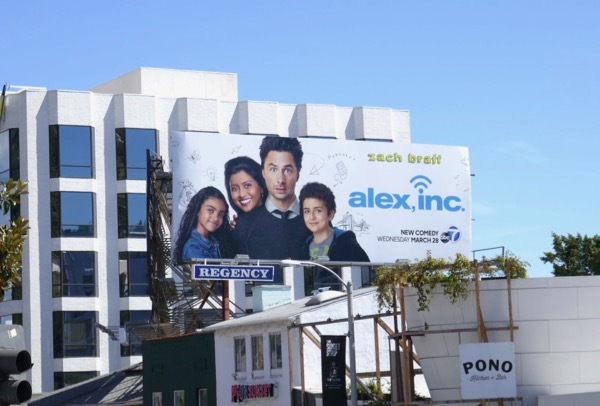 The series is based on Alex Blumberg's Gimlet Media and the podcast StartUp, which chronicled Blumberg's own journey launching a startup business venture. 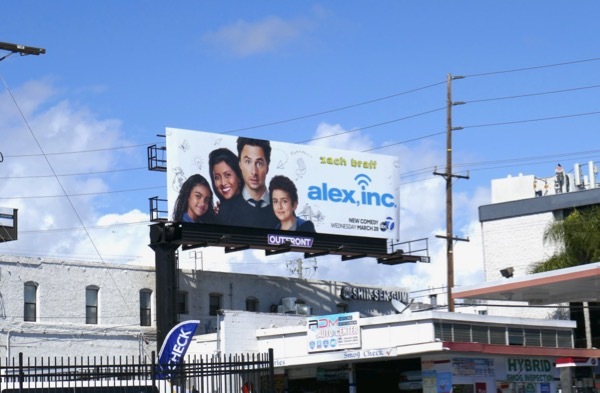 These series premiere billboards were spotted along the Sunset Strip, Santa Monica Boulevard and La Cienega Boulevard from March 15 to March 26, 2018. 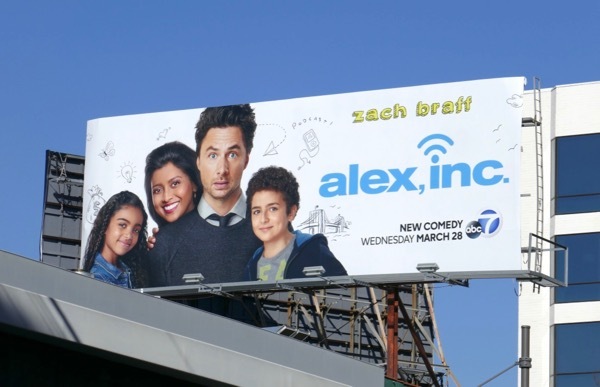 The key art is a little bland and relies heavily on Zach Braff's star power, a set of headphones or microphone wouldn't have been amiss to convey the premise of the comedy a little better. 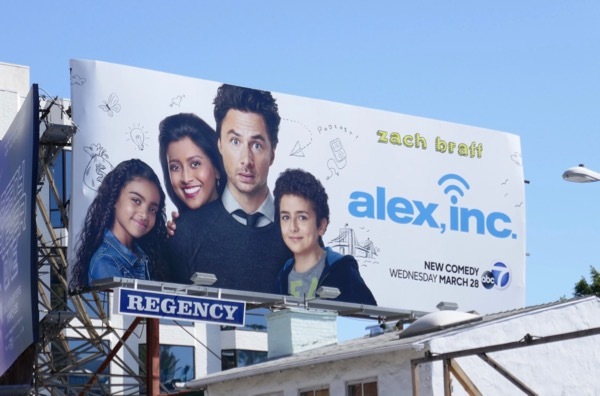 Let's see if this new ABC sitcom can be as successful as the podcast and business that spawned it.